Road safety charity Brake has announced the creation of a new webinar, which the body believes will benefit businesses up and down the country that are hoping to make use of fleet telematics. Set to take place on January 26th from 14:00 to 15:30 GMT, the online event has been sponsored by Teologis and is targeted at fleet managers. The session will focus on driver behaviour, fuel consumption and many other useful areas of corporate fleet management, where in-vehicle telematics could prove beneficial. Indeed, when incorporated successfully into fleet oversight, the technology can be revolutionary in helping firms to better monitor, evaluate, advise and improve driver behaviour and route planning, as well as sustainability. Professional engagement manager at Brake Ellie Pearson commented: "It's vitally important that fleet managers know how to maximise the benefit of their telematics data, and use that data to continually evaluate and improve. "This webinar will provide helpful advice for fleets that already have telematics in place and feel they could get more from their telematics data, and also to fleets looking to introduce telematics in future." The session will be free for all those that wish to take part and more details can be found by heading to the official Brake website. 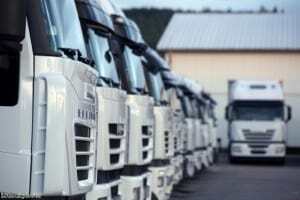 Sergio Barata, general manager of Telogis, added that telematics can help to give businesses a competitive advantage and can be a great way to drive down the costs of running a fleet.